Light, strong, tremendously efficient: FELCO Felcotronic electronic portable pruning tools and secateurs were designed for all intensive work. 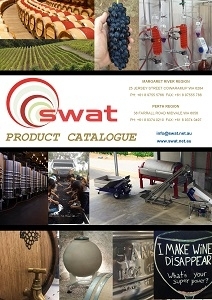 Whether it be vineyard work, arboriculture, the upkeep of orchards, parks or gardens. The electronically controlled FELCOtronic 801 and 820, offer incomparable power and precision. Professionals will be delighted with its ergonomics and ease of maneuverability. These light, easy to handle and fast cutting pruning shears are recommended for all intensive pruning work. The new tool geometry guarantees easy access to branches that require cutting. The cutting head ensures a clean and precise cut with diameters of up to 30 mm. Controlled and powered by its Powerpack the FELCO 880, the FELCO 801 set has been developed as a result of carefully studied ergonomics, providing relief to arm and shoulder muscles, throughout the entire day spent pruning. The tool body allows you to change and use a variety of head types (800F, 800M). With a 35mm cutting capacity, a robust single-piece cast aluminium body with a lifelong guarantee and redesigned cutting heads, the FELCO 811 is a powerful, compact and efficient tool. It offers superior cutting quality over a long period of time. Lightweight and with an unobstructed cutting head, the FELCO 811 easily navigates through branches to prune. 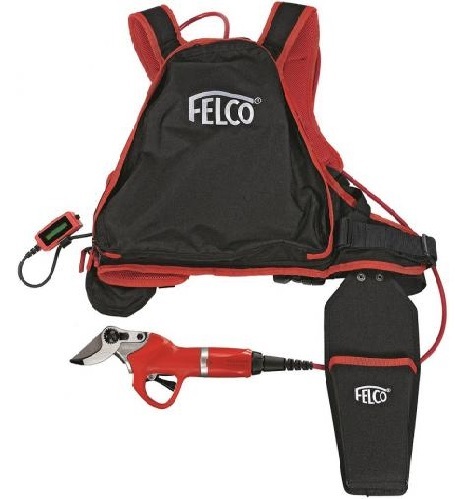 Controlled and powered by its Powerpack the FELCO 880, the FELCO 811 set has been developed as a result of carefully studied ergonomics, providing relief to arm and shoulder muscles, throughout the entire day spent pruning. Strong, rapid, user-friendly, efficient and reliable, this model is suited to heavy pruning work. The FELCO 820 enables easy, clean and accurate cutting of hardwood, of up to 45 mm in diameter, ensuring primarily, a significant productivity increase. Multipurpose, it is the ideal tool for arboriculture, forestry work, the upkeep of parks and gardens and for some types of viticulture work. Controlled and powered by its Powerpack, FELCO 880 includes a battery and charger, the FELCO 820 set, a result of carefully studied ergonomics, providing relief to arm and shoulder muscles, throughout the entire day spent pruning.